Hi there! Today I have a simple look for you guys, but one that I think is really pretty. 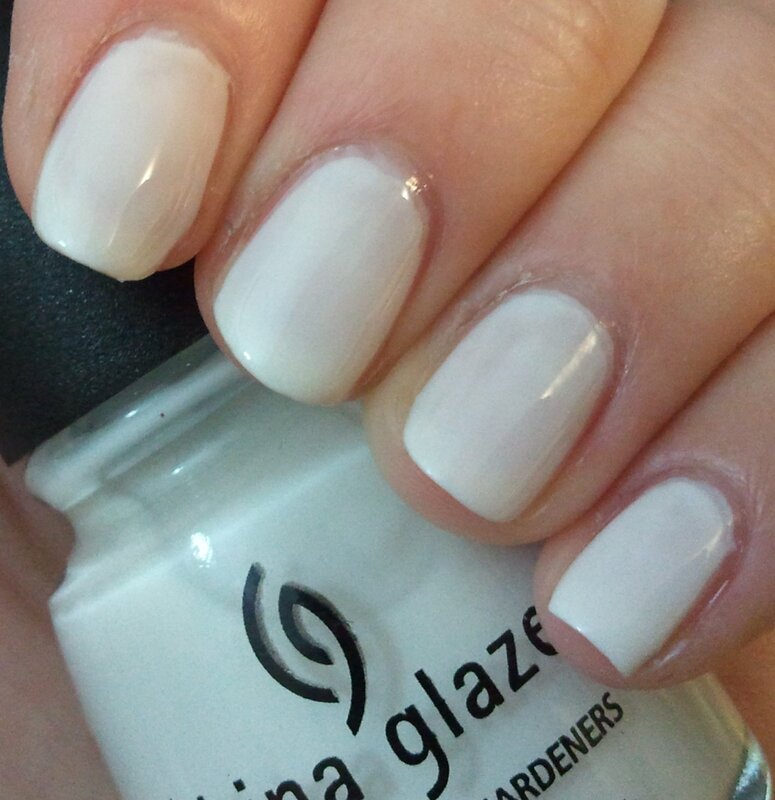 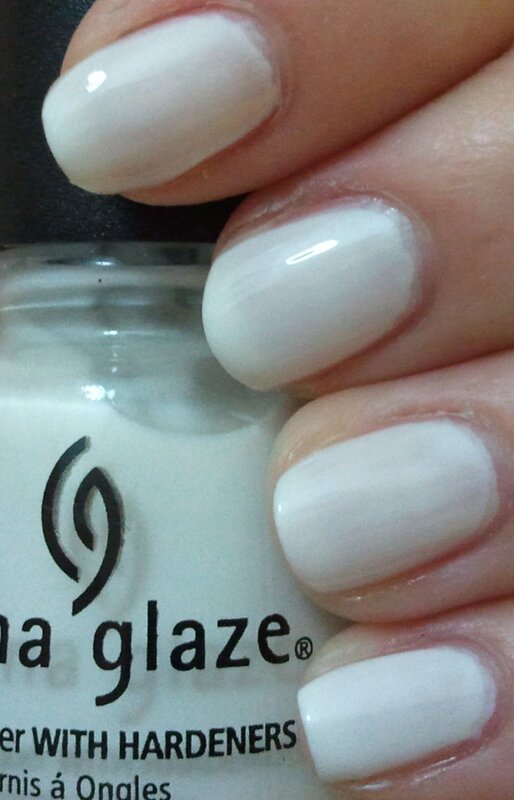 It started with Essie's Smooth Sailing. 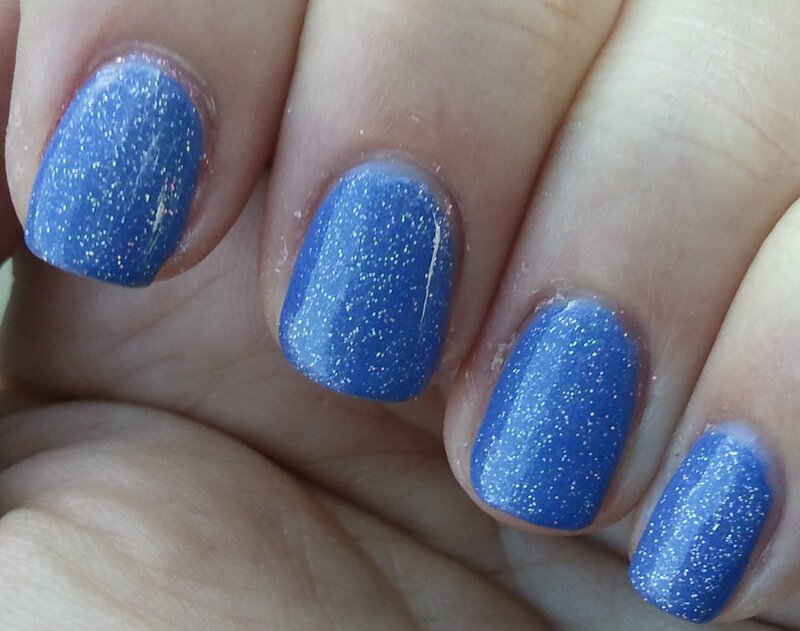 I picked up this color and instantly loved it. 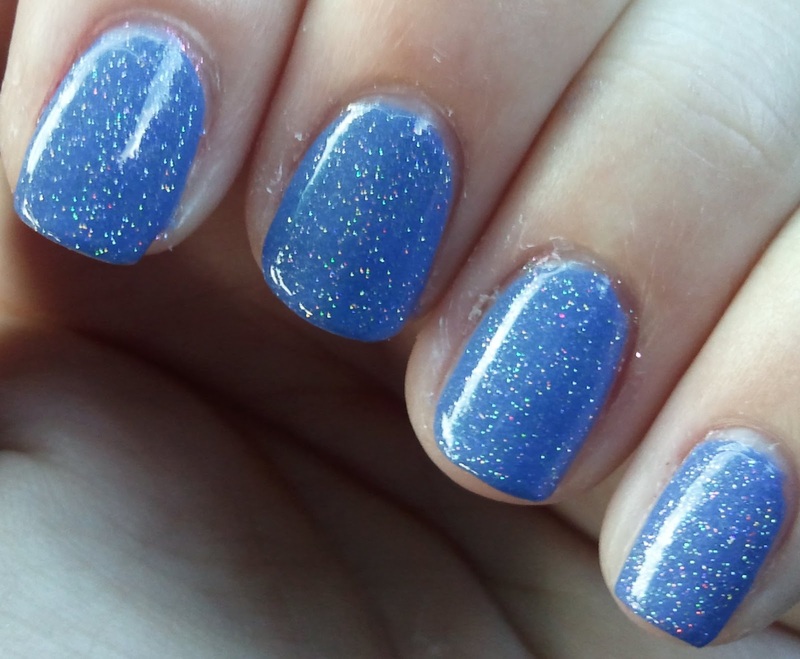 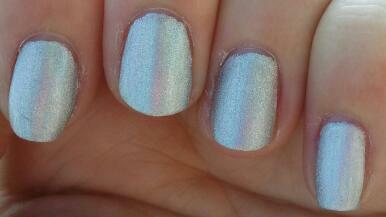 It's a really nice periwinkle blue with a silver shimmer to it. 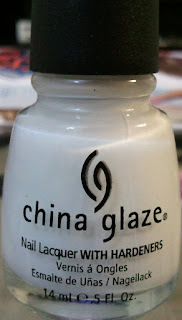 To start, I used a few new products. 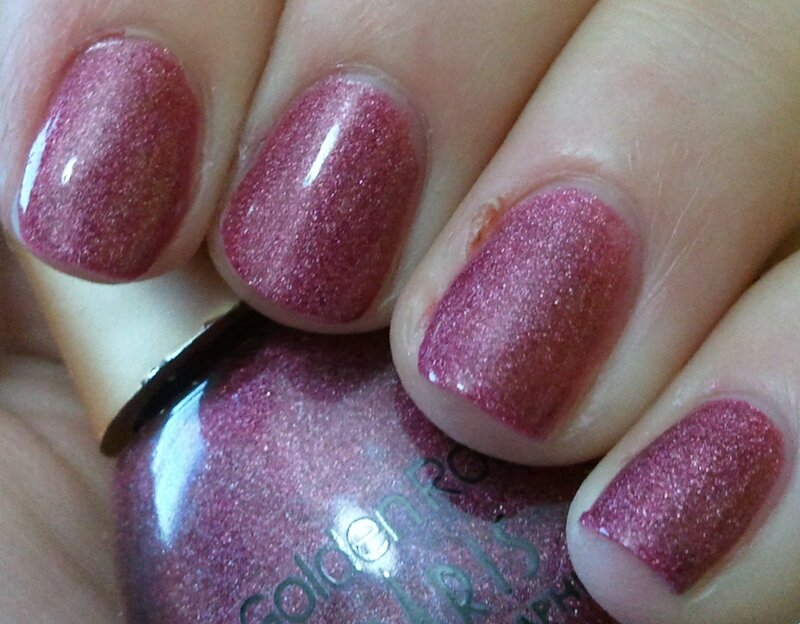 First I applied Orly's Primetime, which is a chip-preventing primer, to be used under a base coat. 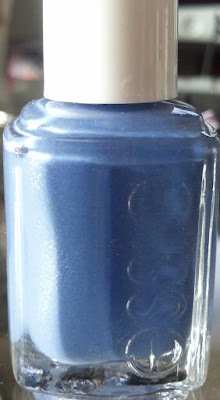 Next, I applied Essie's Ridge Filling Base Coat. 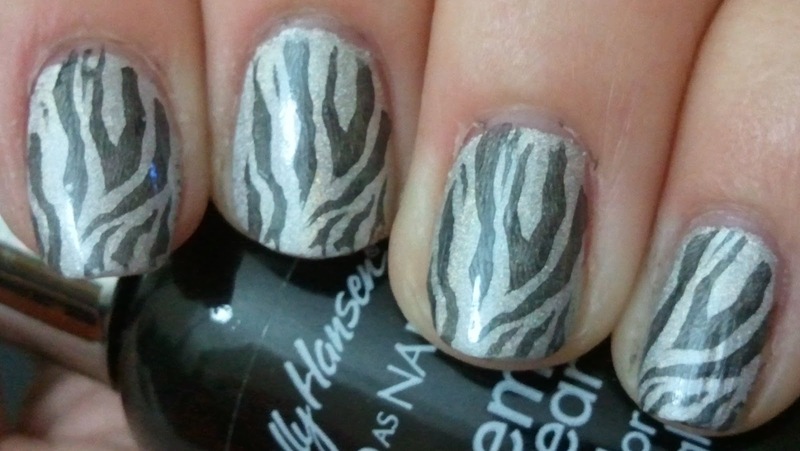 I don't really have any ridges in my nails, but wanted to try out some different base coats. 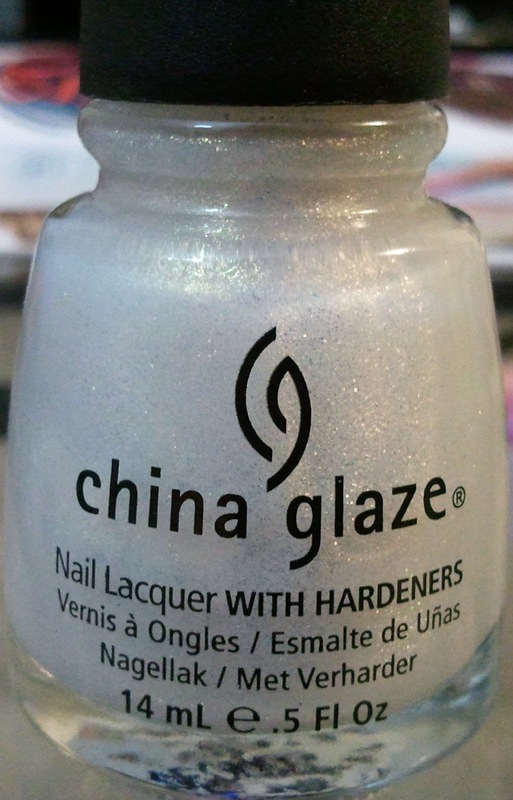 I'm not sure how long you're supposed to wait before applying polish, but I waited about a minute or so. 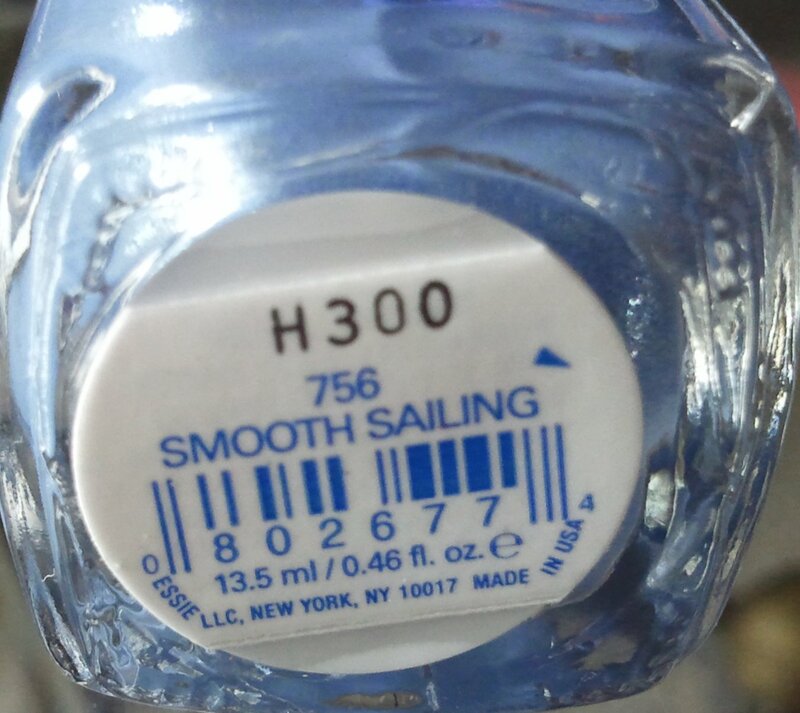 Then, I applied Smooth Sailing. I was not happy with the first coat. It applied very patchy and streaky, and polish would lift off after going back over a section. 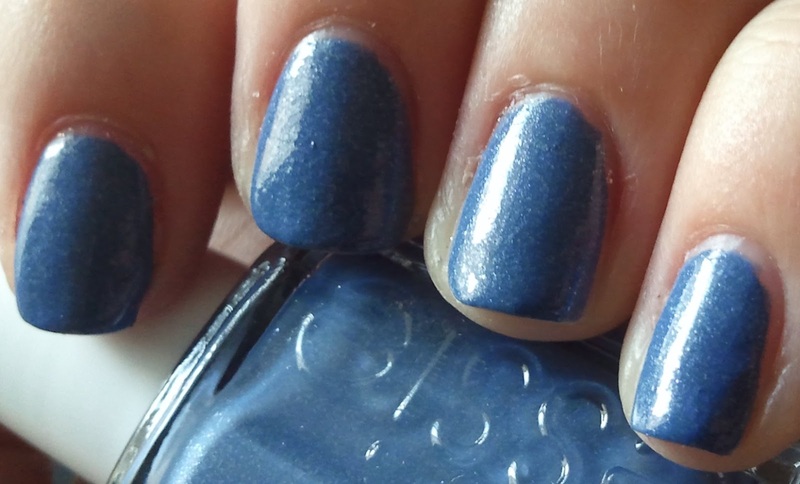 I normally use OPI's Base Coat, so I don't know if the problem was my base coat or the polish, so I have some comparing to do. 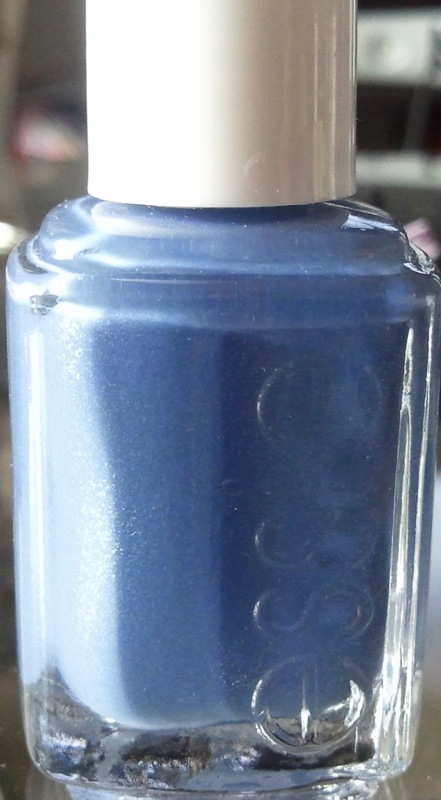 The second coat was fine though, and any bad spots were easily covered up. 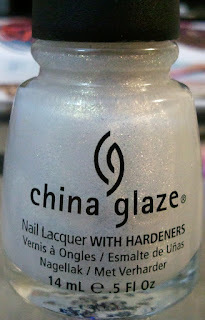 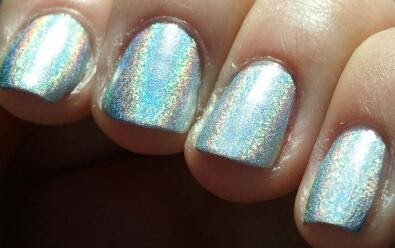 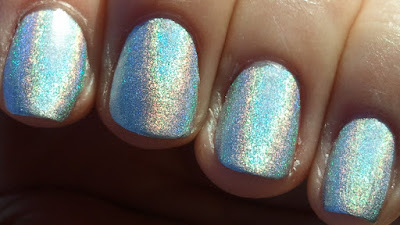 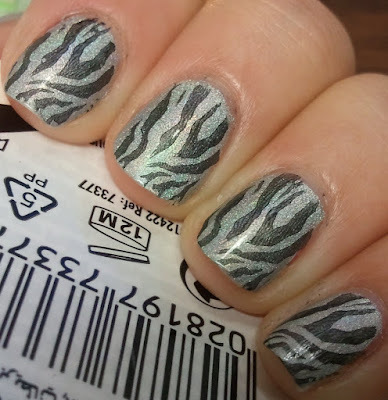 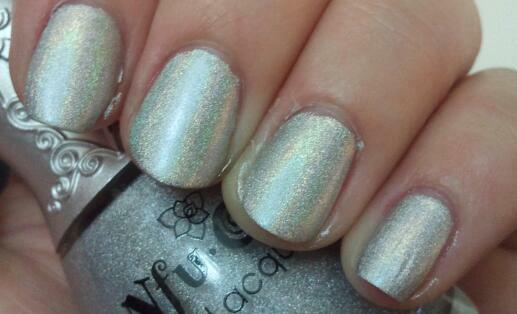 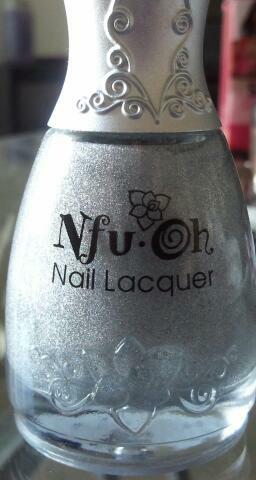 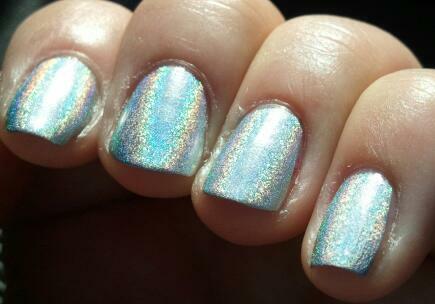 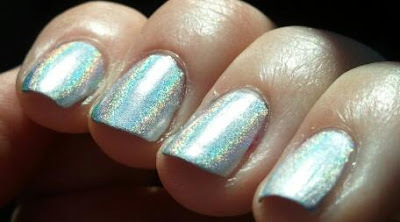 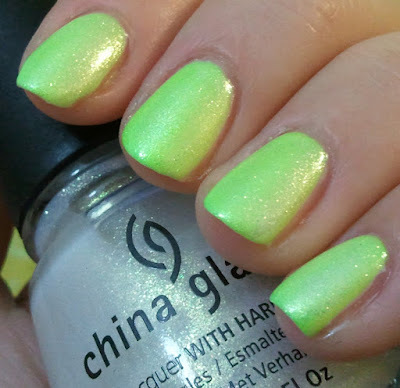 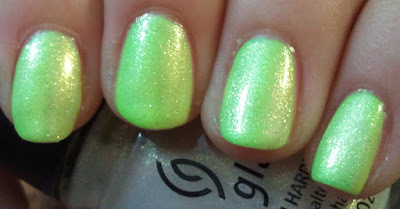 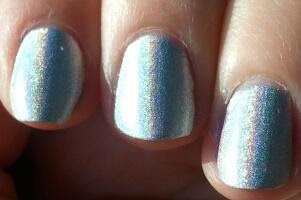 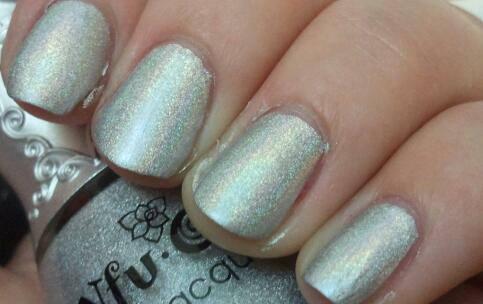 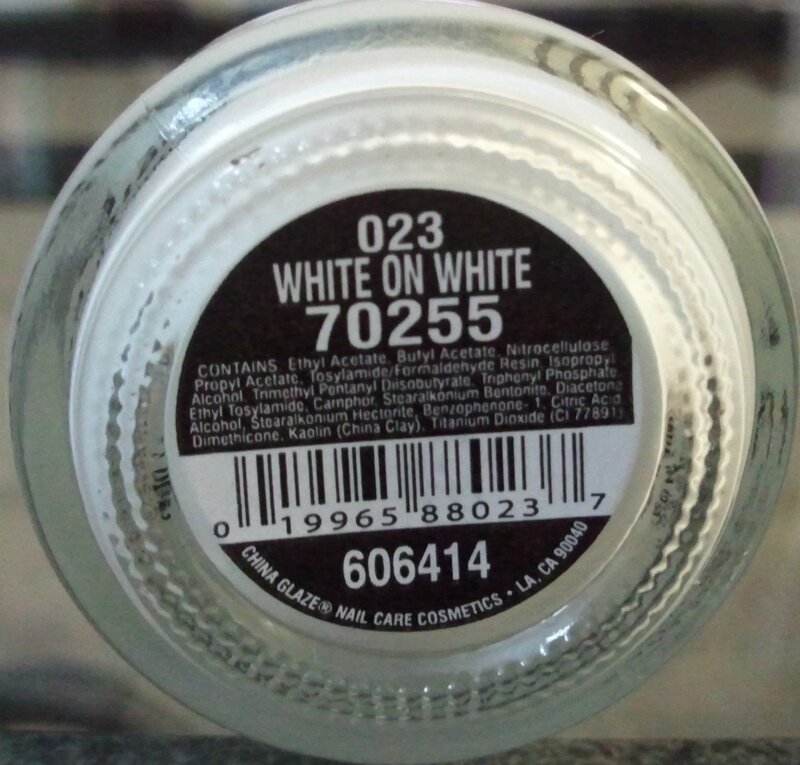 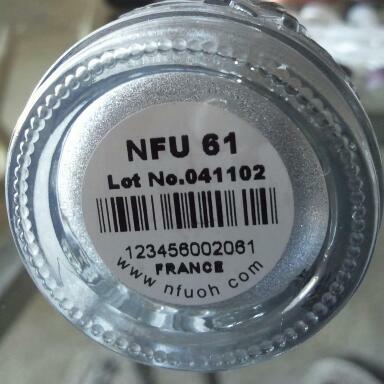 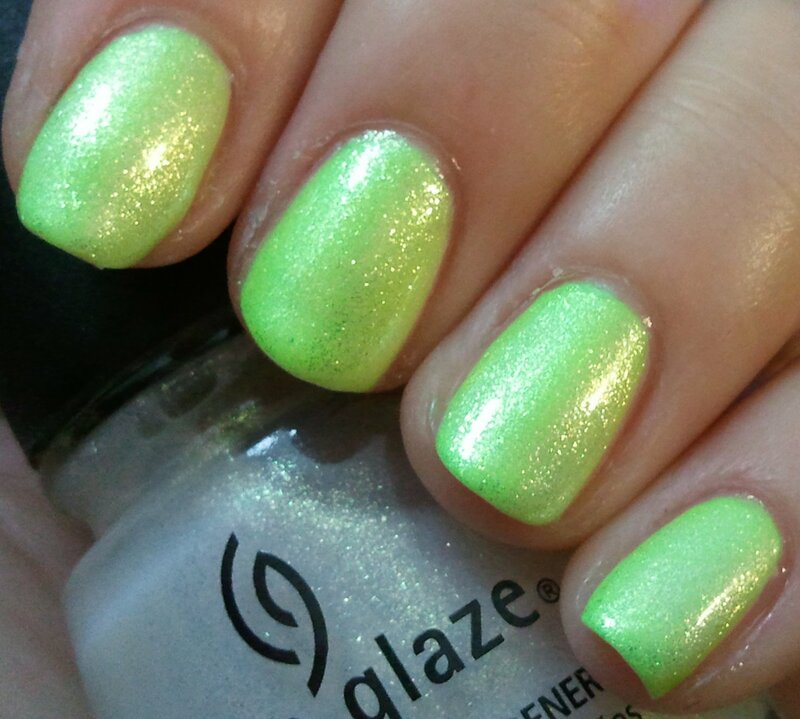 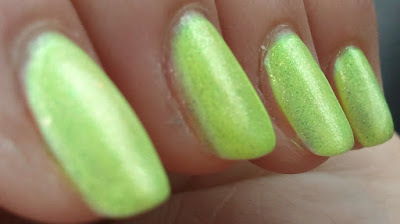 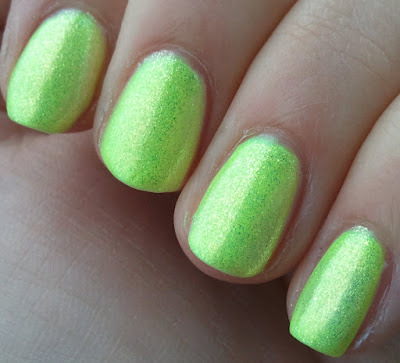 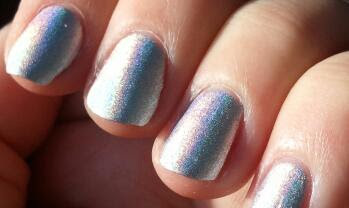 I also had a new top coat to try, Northern Lights Hologram Top Coat in Silver (By the company "Out the Door"). You have to shake for a while to really mix up all the holographic particles as they sink to the bottom and stay down there, but once it's mixed an on your nails, it looks really pretty! 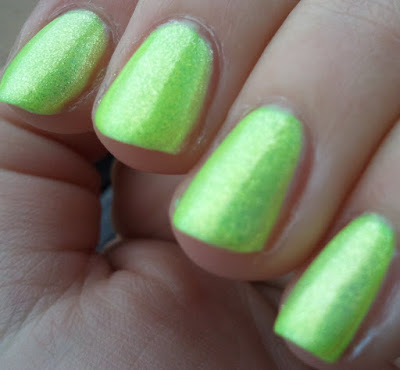 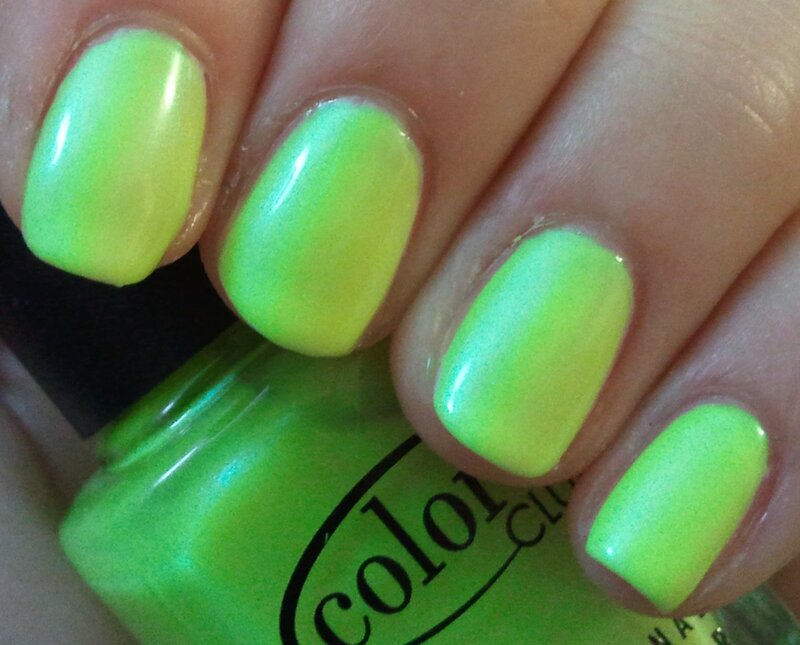 I liked the color so much I couldn't bear to take it off after only one day. So instead of switching it completely, I decided to add to it! 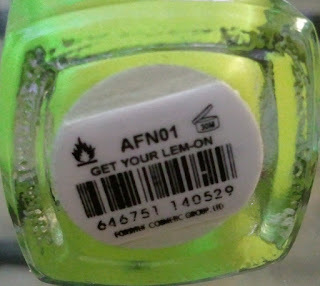 So I turned "Get Your Lem-on" into Pink Lemonade! 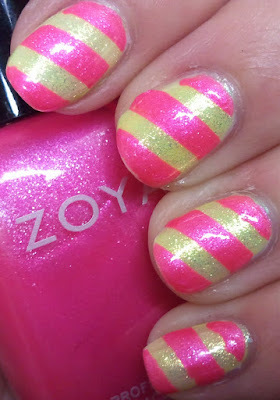 I added some stripes with Zoya's Kiki. 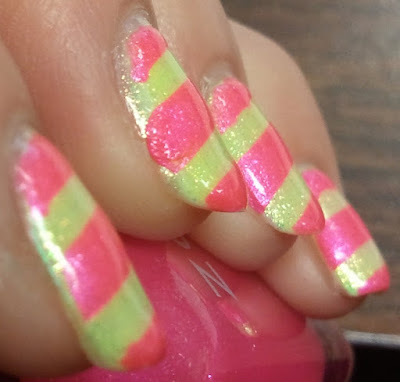 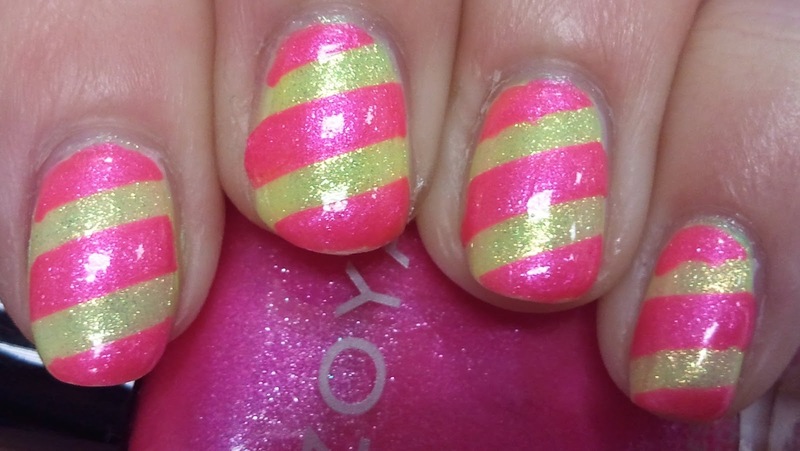 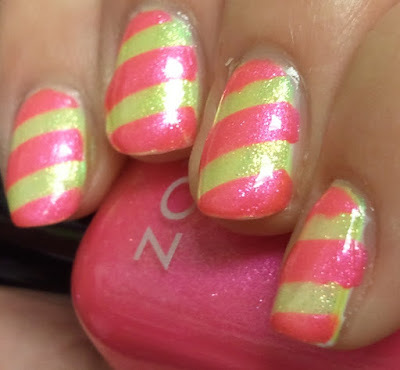 I love how bright and fun this is, and it reminds me of a funky barber shop pole! 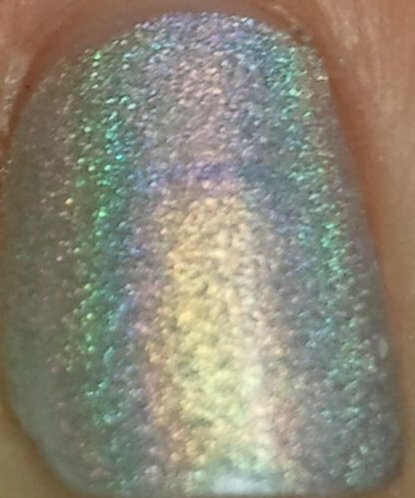 The Traceface Philes is having a 200 follower giveaway!! Here we are, another Wednesday in the books! 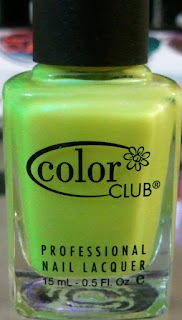 Next Wednesday, it will be June! 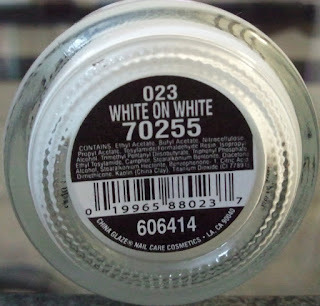 I can't believe how fast time is going by! 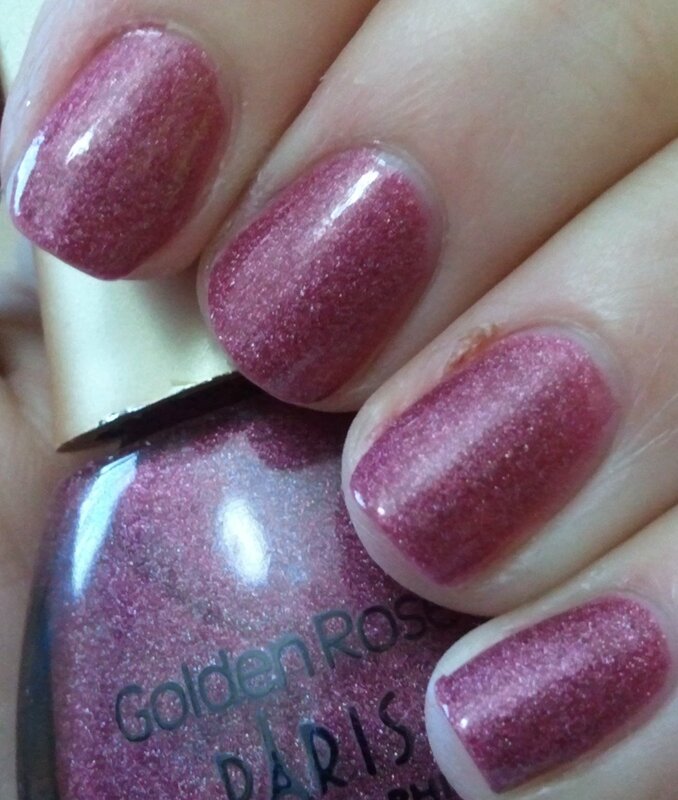 Today, I have a Golden Rose color for you. 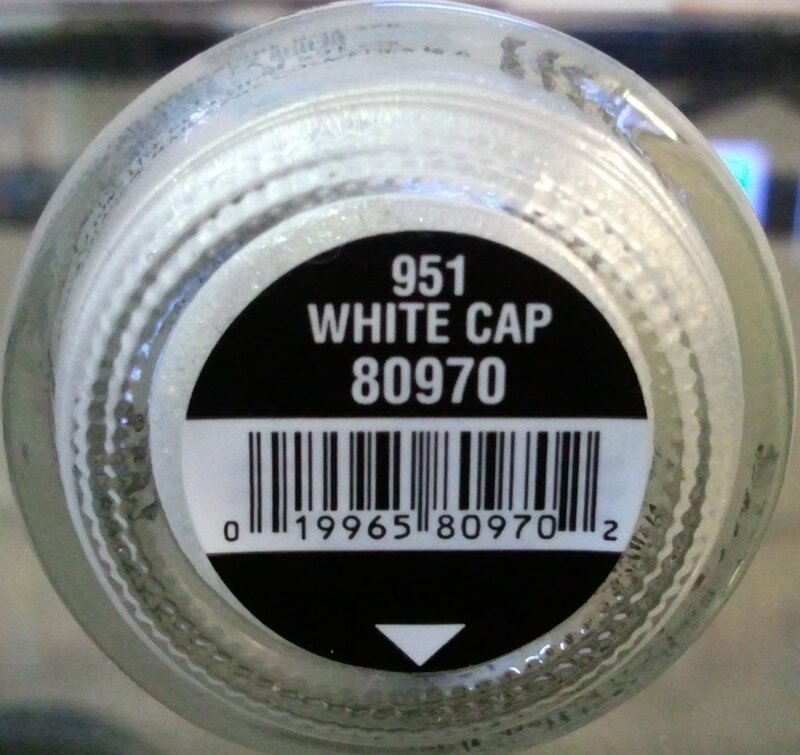 These have numbers, not names, and this one is 108. 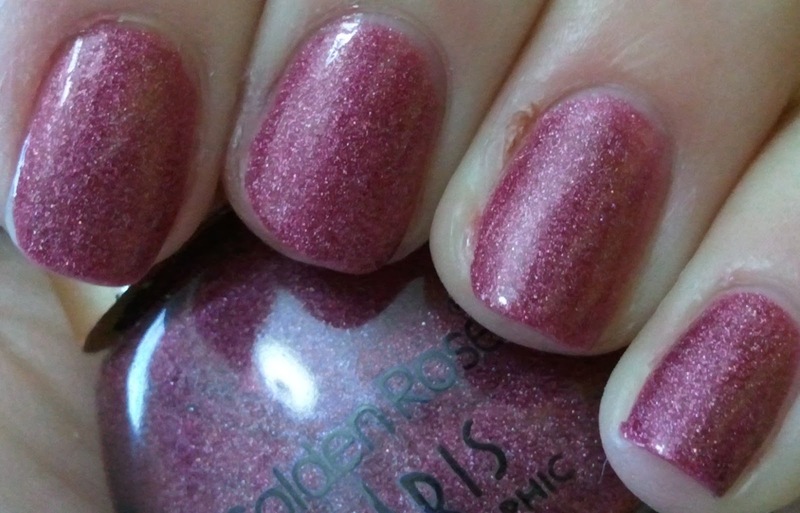 It's a rosey pink color, and is holographic.... although none of my pics do it justice! Maybe if it didn't constantly rain and storm here I could get better pictures, but alas, all I have are indoor shots.